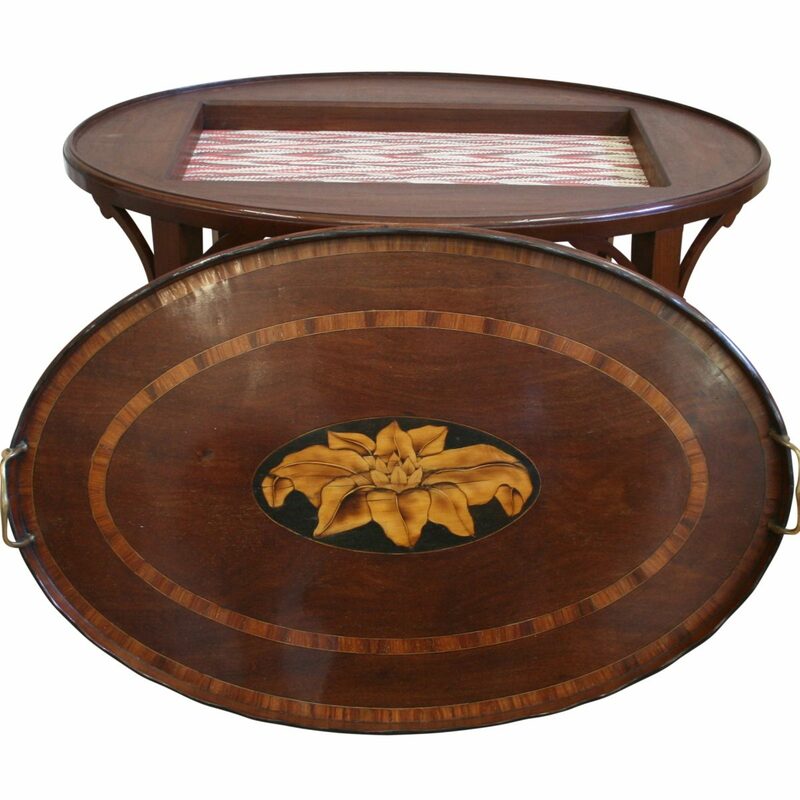 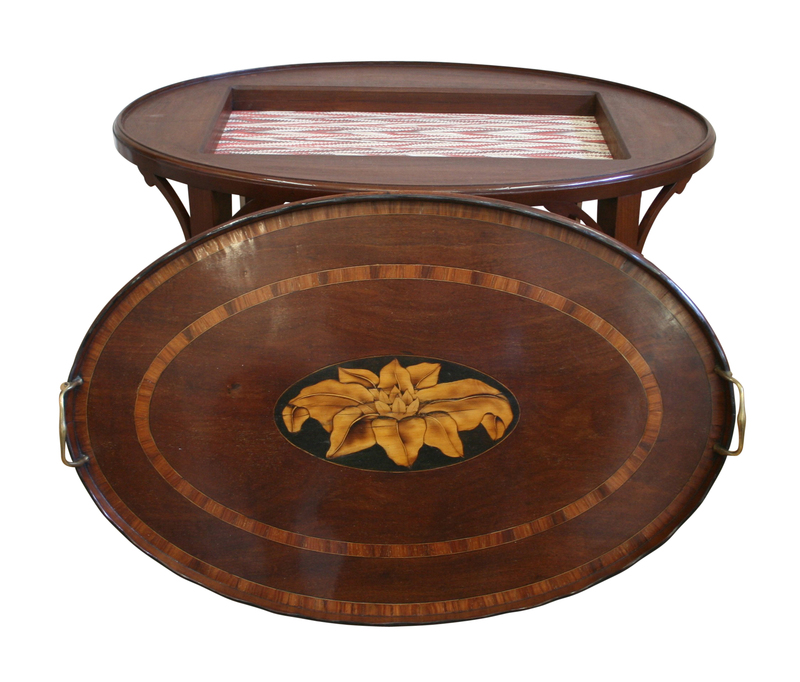 A Georgian oval tray on a later stand. 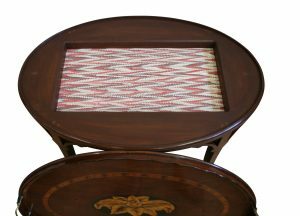 The tray has a wooden scalloped gallery with an ebony top and brass carrying handles. 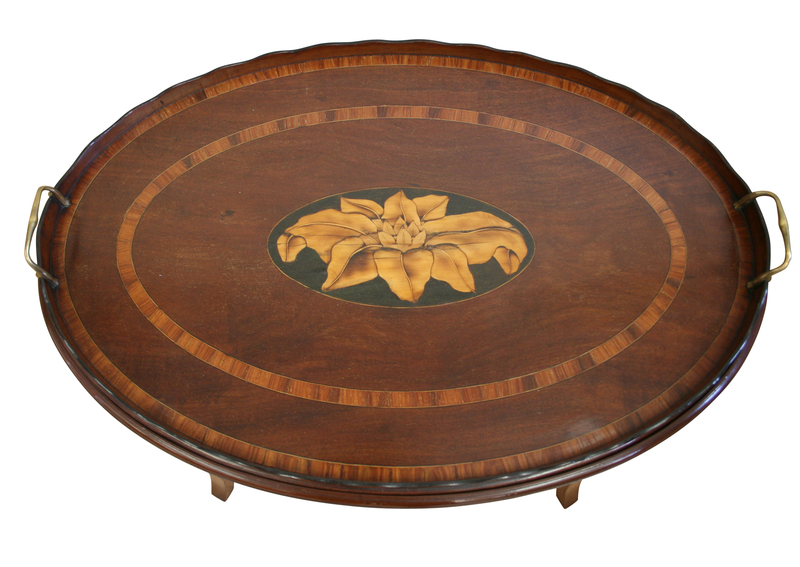 There are two cross banded ovals made of tulip wood. The central panel has a waterlily in boxwood. When the tray is lifted from the stand it has a shallow well where magazines can be stored. 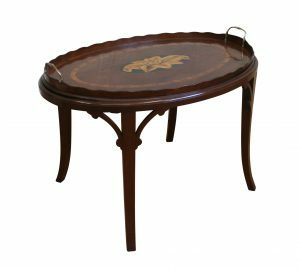 The stand has sabre legs with flowing corner brackets. It makes a good coffee table.